Former Zanu-PF political commissar and G40 cabalist Saviour Kasukuwere yesterday applied for discharge in a case in which he stands accused of illegally leaving the country in November last year. He argued the State has no facts to convince the court to convict him. Kasukuwere appeared before Harare magistrate Ms Josephine Sande. He is out on $300 bail. The State witness is principal immigration officer Mr Godfrey Kondo. His lawyer, Mr Jonathan Samukange, applied for a discharge soon after presenting his defence. Mr Samukange said Kasukuwere was pleading not guilty. He explained that on November 15, last year, Kasukuwere’s house was attacked. Kasukuwere left the country in a bid to seek refuge. He quoted Section 3 of the Refugee Act, which states that if there is external aggression, occupation, foreign invasion and events leading to public disorder in the whole country or part of it, an individual may be allowed to seek refuge or asylum. Mr Samukange argued that Kasukuwere should be exempted from punishment according to the Immigration Act as he feared for his life and it was no longer safe for him to go through legal ports. Mr Kondo argued that police officers from Law and Order presented a diplomatic passport on May 30 this year for the purposes of analysis. That is when he allegedly discovered the mismatch in documents which showed that Kasukuwere was not authorised to leave the country. In response to the claims of Kasukuwere being a refugee, Mr Kondo refused to comment on the reasons why Kasukuwere left the country in November last year. “I think what is being referred to by the Refugee Act on the basis of seeking refuge speaks of well-founded fear and disturbances that affect the whole country in particular public disorder. “The events being referred to by the defence counsel were not disturbing the public order as all the civilians were involved,” he said. 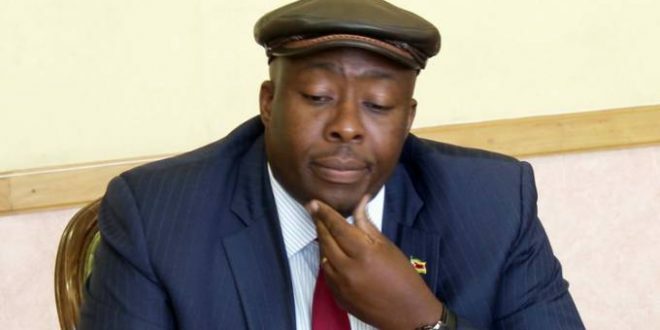 The prosecution opposed Kasukuwere’s application for discharge. The matter was remanded to today for ruling.